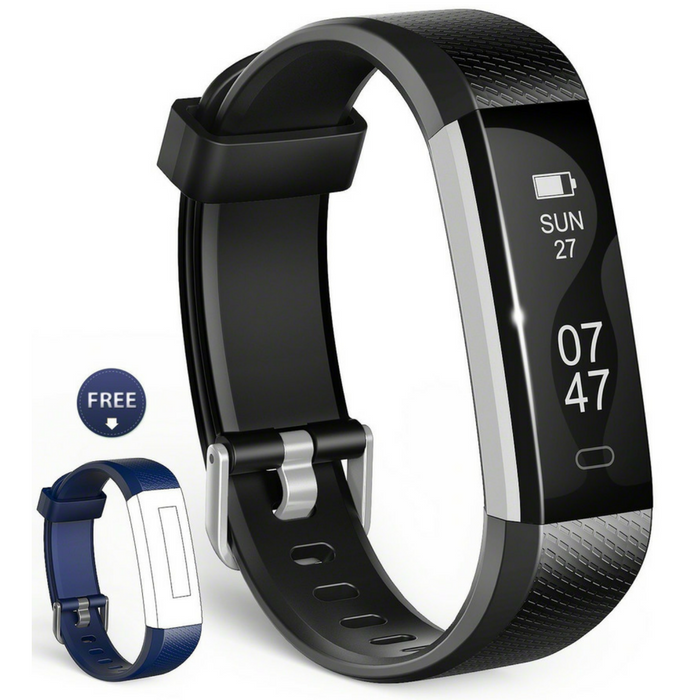 Fitness Tracker Just $17.99! Down From $80! You are here: Home / Great Deals / Amazon Deals / Fitness Tracker Just $17.99! Down From $80! For a limited time only! Hurry over to Amazon to score this Fitness Tracker for just $17.99 down from $79.99 when you use promo code EUFBW7LW at checkout! Get FREE shipping with Amazon Prime or for orders over $25! The all new Wesoo K1 ultra-thin and super lightweight fitness tracker satisfies your personalized needs. Removable wrist band allows you to choose multiple color selections, be different and colorful every day. The fitness tracker automatically monitor how long and how well you sleep at night, by reading all these sleep metrics you can get to know your health condition. PLUS, you can pair the fitness band with a smartphone App to set alarms, sedentary alert and incoming call notification. Let Wesoo K1 fitness tracker become your personal health assistant.